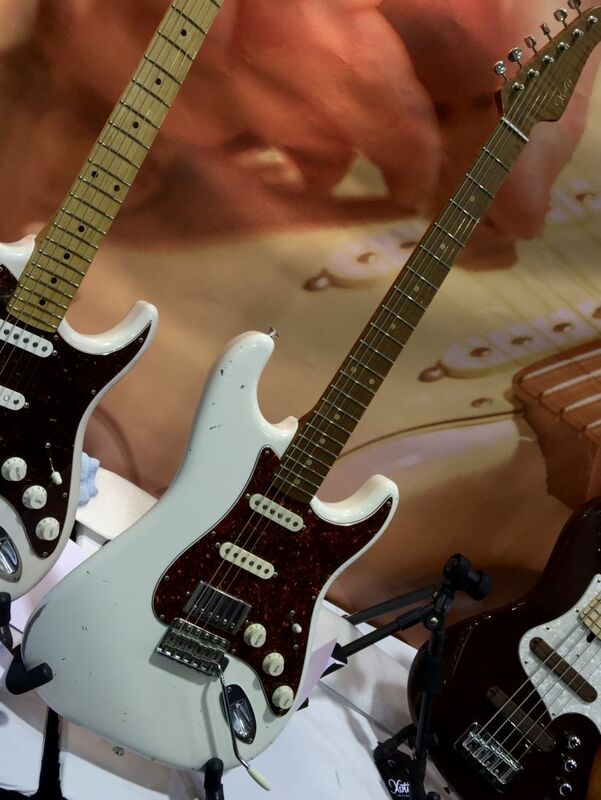 Last week I flew out to sunny California for the 2016 Winter NAMM show, and this year's show did not disappoint. It was an exhausting 4 days but what a great experience. Here's a report of what I saw, what caught my attention, and what I'll remember most. Ned Berndt had emailed a few times leading up to the show inviting me to come by the booth and check out their instruments. The Benrdt name didn't ring a bell, so my expectations were moderate. 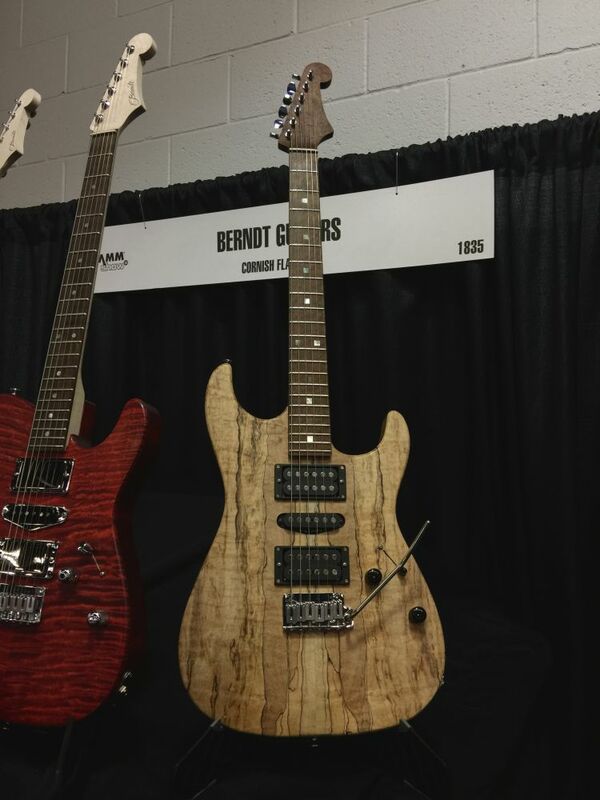 I chatted with Ned and Lawrence for quite some time, learning about the history of Berndt guitars. Here's what I learned. Lawrence Berndt got into the wood business over 20 years ago, stockpiling birdseye maple before anyone knew what to do with it. Birdseye maple is very hard, and at that time there was almost no demand for it. But he couldn't shake the feeling that this beautiful wood could be used for.... something. Over the years he began supplying birdseye maple and other woods to various industries. He bought, hauled, and processed every log through his own sawmill. In short, he was really, really serious about wood quality and consistency. This dedication resulted in several high-profile relationships in the guitar industry. In 1992 he became the sole wood supplier to the Fender Custom Shop. 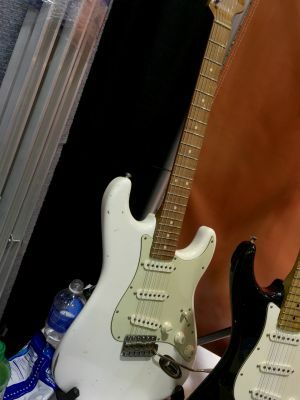 That relationship lasted for a long time, but when the economy tanked in 2012 Fender began cutting costs everywhere ó even in the custom shop. You might assume that Fender's Custom Shop wood supply would be sacrosanct, but you'd be wrong. 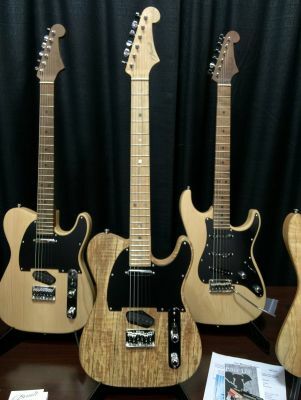 He had been supplying wood to other high-end builders (Tom Anderson is one you've probably heard of) and now he's making his own line of guitars. So... just another guy building expensive guitars out of good wood, nothing new right? Well, not quite. Along the way Berndt developed a carbon fiber "T" rod to use in place of a traditional truss rod. This rod adds almost no weight but makes the neck impervious to changes in temperature, humidity and string gauge. Because the neck is pretty much fixed in place, there's no truss rod. You can't adjust it for more or less relief later and you don't have to. This makes the initial setup critically important. To this end, each guitar they build is setup on a Plek machine before it ships. The Plek is a computer controlled guitar setup process and considered by many to be the best way to setup a guitar for ultimate playability. To illustrate the resilience of the XPS necks, Ned told me a horror story about one of their guitars being shipped in-tune (usually you detune the strings when shipping a guitar) and then accidentally left in an uncooled warehouse for several days (in Miami no less). That guitar was still in tune when rescued. Another guitar, having been shipped across the country and back, was put on the Plek machine for comparison. Nothing had changed. Much like my original site (StevieSnacks), the Berndt story is kind of a happy accident. Just a guy doing what he loves, falling headfirst into the guitar business through a series of fateful relationships. The Berndt guitars are beautiful and extremely resonant. My pictures don't do them justice, you've got to see them up close to understand. You can feel every note resonate through the neck and up through the body. I'm usually picky about string height, but this action didn't seem too low or too high. It just played..... great. 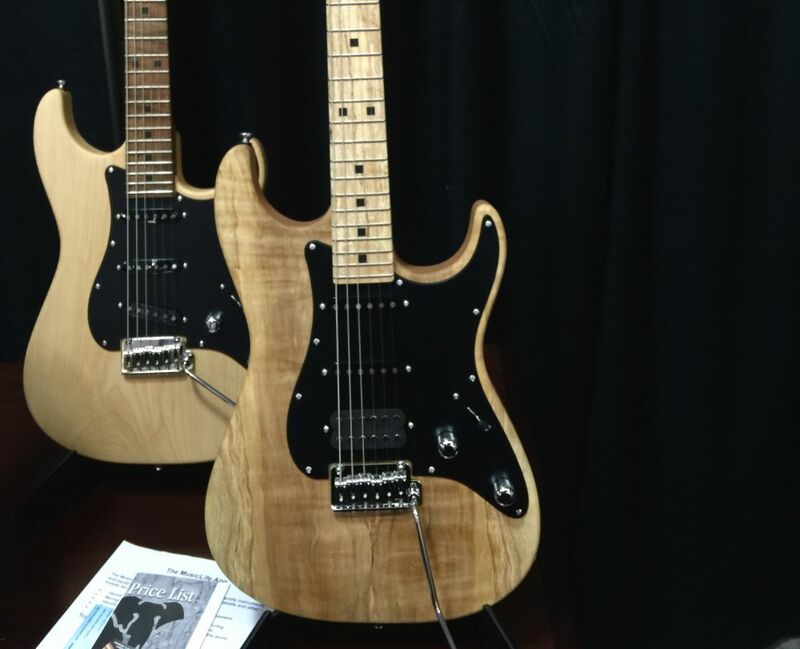 I don't have exact prices, but these guitars will range from the high $2k into the $6k range. There's a number of builders making guitars in this range, but what will set the Berndt guitars apart is their uncompromising stance on wood quality and the XPS neck technology in every guitar they build. 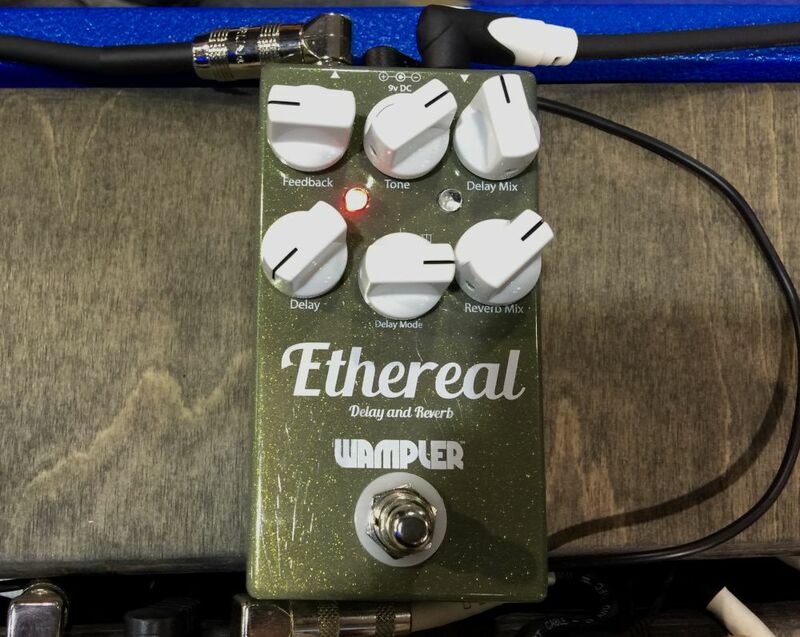 My friends at Wampler had two new pedals at the show. 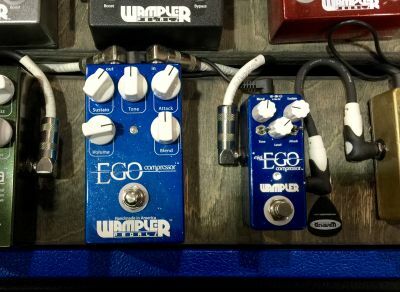 The first was a miniturized version of their famed Ego compressor. 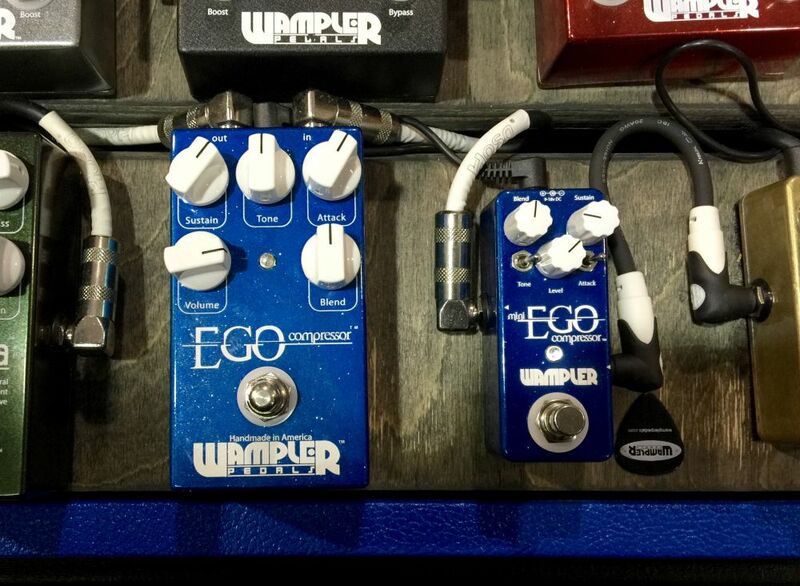 The mini Ego has the same circuit as the original, but with toggle switches for attack and tone. I prefer the big Ego, but if you've got limited space and want to add a compressor, this might be a better choice. Their other new pedal was a combination reverb/delay pedal called Ethereal. The delay side has speed, feedback, tone and mix controls. The reverb side is a plate style reverb, and has only one control. Each effect can be blended into the dry signal independently, which allows for some very interesting sonic textures. Now that I've used the phrase "sonic textures", excuse me while I go shop for skinny jeans and a scarf. Over the past 3 years I've listened to Dr. Scott Lawing talk for hours... no I'm not kidding, literally hours.... about the science behind Zexcoil pickups. The biggest problem with the current Zexcoil design is the assembly; it's a complicated fussy process that is very hard to teach someone else. This makes it almost impossible to make a more affordable pickup because it takes so much time to build them. This is a big problem. How can a company grow if the owner has to make each and every product by hand? Here's a hint: it can't, or at least that growth will be very difficult. So Scott has applied his engineering chops to the manufacturing process, tweaking the existing design to make it easier to build. The result is the Z-Series, the next generation of Zexcoil pickups. Right about here is where you're asking "certainly these changes mean that the pickups will sound worse, right?" That would make sense, but that's not the case here. Think about what makes traditional pickups sound great. Look at the marketing copy written by any big name pickup builder and you'll see lots of talk about the winding process. Because this winding process is crucial to the sound of the pickup, it must be done by someone with some expertise in winding pickups. 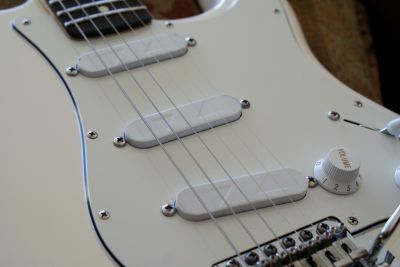 But Zexcoil pickups aren't great because of the coils (they use 6 coils and none of them are wound by hand). 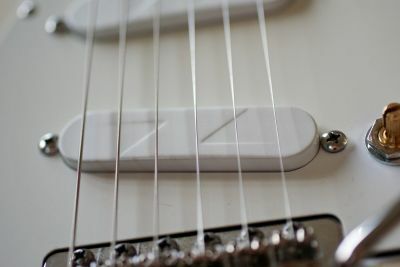 The tone in Zexcoil pickups is largely due to the material(s) in the pole pieces. All the expertise goes into finding the best material and thickness for the pole pieces, and then choosing the right wire and winding for the coils. The expertise happens at the design stage, it doesn't have to happen at the assembly stage like it does with traditional pickups. After the design is ready, it's just a matter of assembly. If assembled correctly, the pickup will work and sound fantastic. The assembly is either right or wrong. Zexcoil pickups just need be assembled correctly, there's no intangible artistry needed for that part of the process. Because of this, Scott was able to create a new design that's easier to build but doesn't sacrifices a single drop of tone. In fact (and don't hold me to this because it's not 100% proven yet) the Z-Series might actually sound BETTER than the current models. What a strange problem to have: pickups that are easier to make, but sound better. Science is weird. I played the new design for at least an hour at the show. Although I've played Zexcoil pickups since 2013 (and love every set I've played), the clarity and "punch" of the Z-Series was hard to ignore. I was having such a good time that they had to kick me out of the booth so someone else could play. I've been using a Kemper casually for about two years, especially in the last 9 months with all the craziness of moving my studio. It is my goto solution for shooting lessons in a hurry. Tube amps are fun, and mine won't be replaced anytime soon. But properly mic'ing an amp takes a while. Sometimes I just want a great tone without taking half an hour to get the mic positioned just right. This year Kemper Amps announced a very cool new feature at NAMM called "Morphing". Morphing allows you to control multiple parameters of a profile at the same time using an expression pedal. The operation couldn't be simpler. First you setup everything how you want it for the "heel" position (pedal all the way up), then you make any adjustments you want and save it as the "toe" position (pedal all the way down). As you rock the pedal from heel to toe, the profiler automatically adjusts any of the controls you changed towards their "toe" setting. Here's an example. Let's say you're working with a Fender Bassman profile. You set the gain close to zero and the treble maxed out for the "heel" setting. This would give you a pretty clean, but very bright tone. Then, you could set the gain maxed out and the treble rolled back and save that as the "toe" setting. That tone would have tons of sustain, but be a lot smoother because of the rolled back treble. Now with the expression pedal you could get any tone in between those two extremes just by rolling the pedal back to front. As you press the pedal down, the gain will increase as the treble decreases. In addition to using the foot pedal, different "presets" of parameter settings (inside the same profile) can be assigned to the buttons on the foot controller. The best part? All of these software updates work with every Kemper they've ever sold. Over the past few years they've introduced a number of software improvements that are all backwards compatible with the original model. 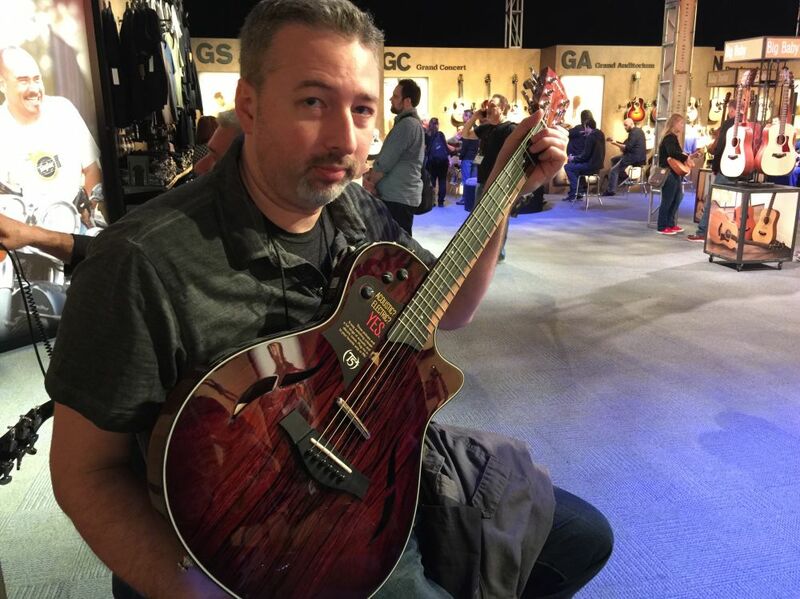 I played some new Xotic guitars at the Nashville Amp Expo last year, and had another chance at this show. Their California series is amazing. What I like about their approach is that the relicing process they use gives the guitar just the right amount of wear without making the guitar feel old. Take a look at this demo video. This is very close to the same guitar I played at the show. The tone is ridiculously good. Many years ago I bought a set of Auralex MoPADs for my studio monitors. The reason for using MoPADs (or any other acoustic speaker isolation platform) is simple: you'll get a more accurate "image" from your monitors if you acoustically isolate them from whatever they're sitting on. 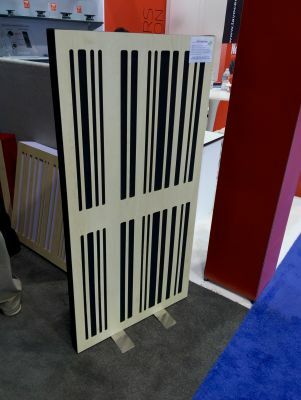 At this show I found a better solution: the Recoil Stabilizer from Primacoustic. 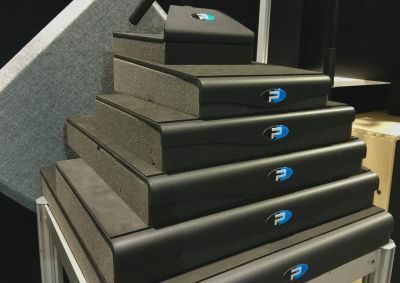 A heavy metal plate provides a rigid platform for the monitors to sit on, while the foam base acoustically isolates them from the desk or shelf. The metal plate has a rubberized pad to keep the speakers from sliding around. 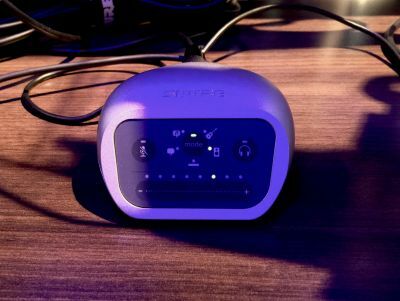 Two small devices in the Shure booth caught my eye. 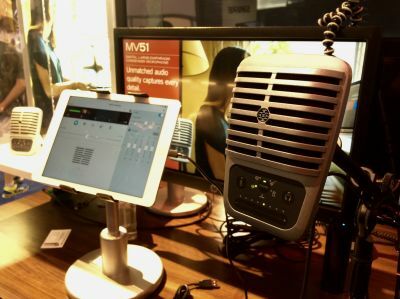 The first is the MVi, a compact audio interface for Mac, PC, iOS or Android devices. It has an XLR and 1/4" jack so you can use a microphone or a guitar. There's some kind of built-in DSP to to help optimize the mic input for different sources. I like that it's designed to sit on a desk. My experience with inline guitar interfaces for iOS has been frustrating. The MV51 is a USB condenser microphone that can be used with iOS or Android mobile devices. 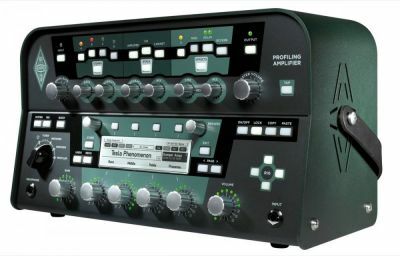 It's got the same built-in DSP that helps optimize the mic for different kinds of recording (speech, singing, acoustic, or loud instruments). You may have heard that strobe tuners are superior to other tuning technologies. Never having used one, I stopped in the Peterson booth to find out why. Peterson makes everything from small clip-on tuners all the way up to rackmount professional units. Even the smallest clip-on unit has a 0.1 cent accuracy (a PolyTune in normal mode has 0.5 cent accuracy). A "cent" is a 1/100th of a half-step. So 0.1 cent accuracy is like saying 1/1000th of a half-step. The rep explained how strobe tuning works and why it's so accurate but most of that went over my head. One interesting idea they've included in their tuners is the concept of tuning "sweeteners". 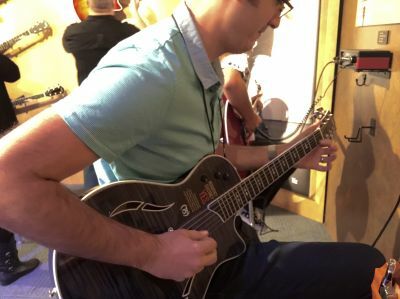 A standard guitar can never be perfectly in tune (look it up), thats why you could spend an hour tuning your guitar and still have chords that sound out of tune. 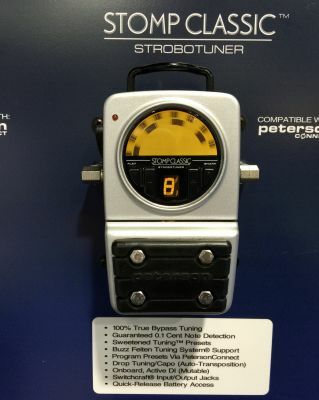 The sweeteners in Peterson tuners shift the tuning of specific pitches by a few cents up or down. The result should be a guitar that sounds more in tune with less fiddling. If you've ever had to to make small tweaks to a freshly tuned guitar just to make certain chords sound better, the Peterson tuning sweeteners might help. 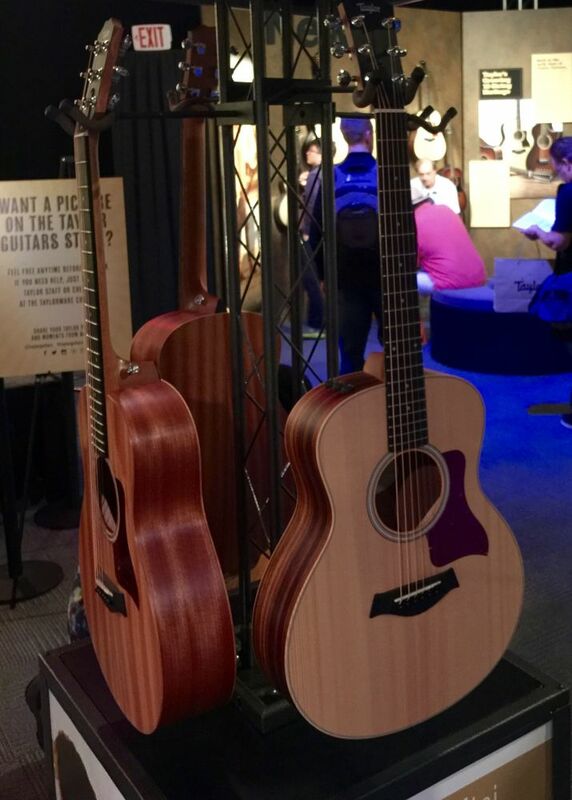 Taylor guitars are known for having great playability. A few years ago I played one of their (now cancelled) solid body electrics and was impressed by how great it felt. 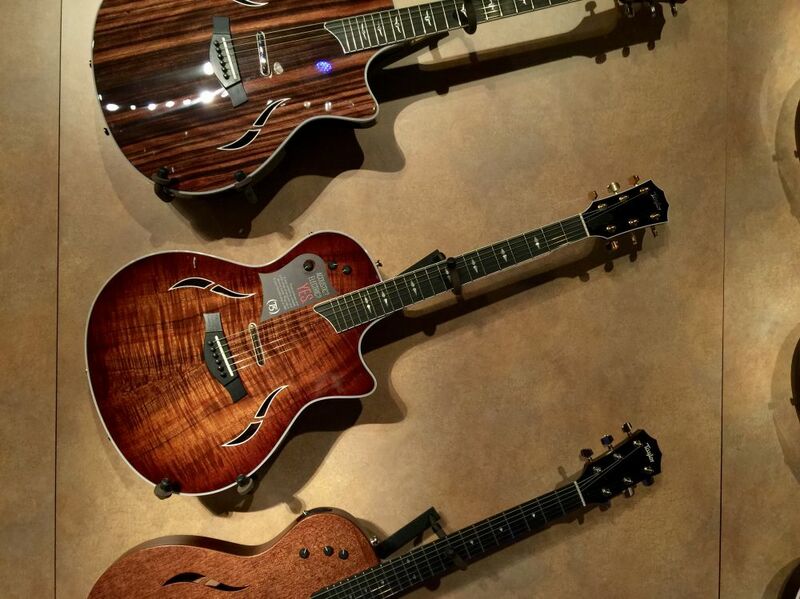 This year Taylor was showing off their T3, T5, and T5z semi-hollow guitars. I played the T5 and T5z models. 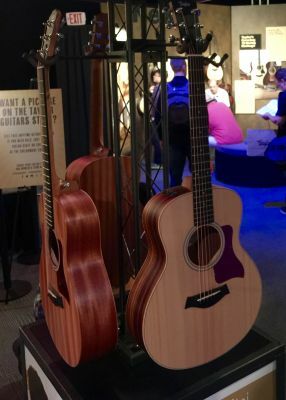 These guitars are just big and hollow enough to create a usable acoustic sound whilst unplugged, but they also have several pickup options for playing electrified. The GS Mini is a scaled down acoustic that has a surprisingly loud sound. Seriously, you'll be amazed how big this small guitar sounds when you play it. I find most acoustics to be uncomfortably large, but the Mini felt comfortable. The term "compact" is probably more accurate than "small" to describe the feeling of holding one. It's not a tiny guitar, it's just a more comfortable version of a full-sized acoustic. The GS Mini would be a good choice for people who mostly play electric, but occasionally like to play acoustic. Last year Mackie introduced the DL32R, a 32x32 digital mixer that could be operated with an iPad or iPhone, but had no physical interface. I'm young, so I totally dig the iPad control angle, but I also like physical controls. The idea of ONLY being able to control the mixer with an iPad felt limiting. 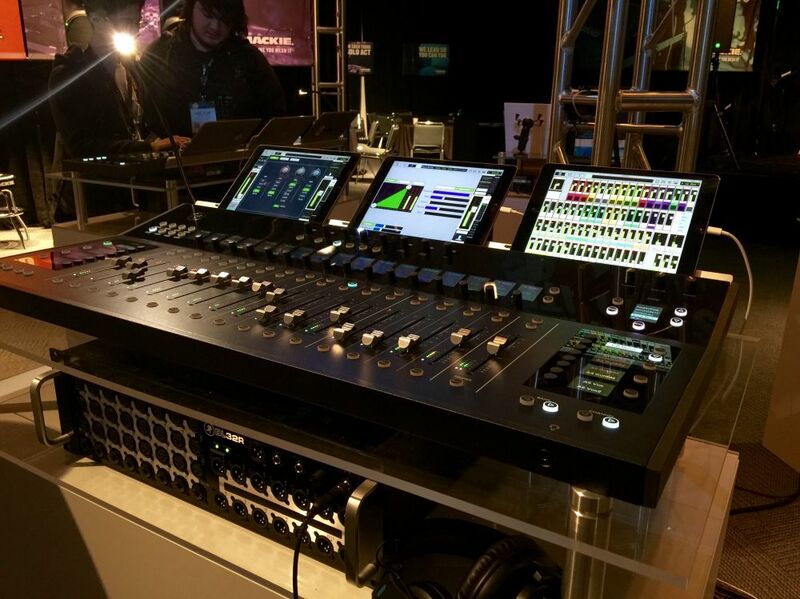 This year Mackie showed off a prototype of the DC16 control surface, a hardware interface for the DL32R mixer. It works together with one or more iPads to give you complete control and feedback of what's happening in the mixer. There's no processing happening on the control surface, it only controls and reflects what's happening inside the mixer. The faders are motorized so your mixes can be stored/recalled. The DC16 works in conjunction with any iPads you have connected. So you can have simultaneous views of different features of the mixer. One of the more impressive features was the ability of the Master Fader control app (on the iPads) to detect whether the iPad was docked or roaming. You can be using the iPad for one task while docked, pick it up and go tweak the mix from another part of the room, dock the iPad again, and it will jump right back to the original docked view. Here's an interesting thought. Tablet and phone controlled mixers aren't going away. This is going to be a growing market. In the past, what separated the men from the boys in the mixer world was hardware quality. 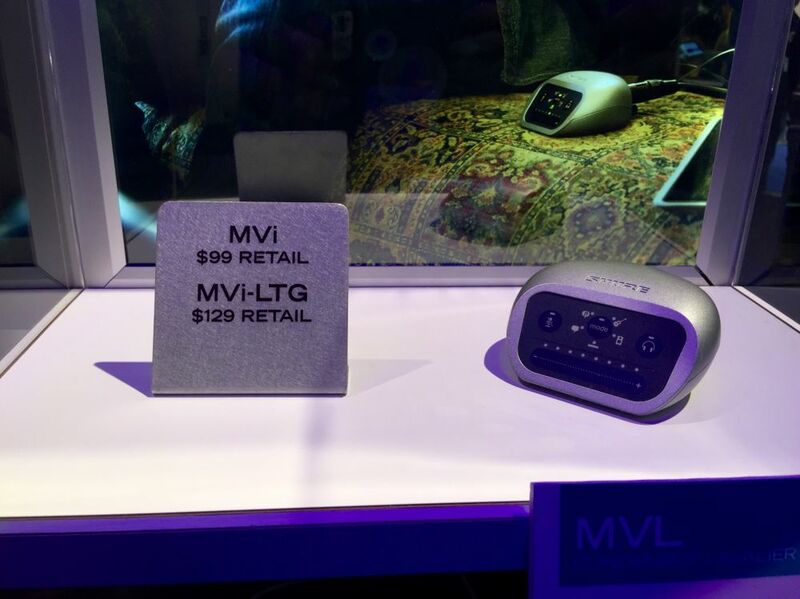 But in this brave new mobile device world, any mixer company that doesn't become good at writing software is going to be in trouble. It doesn't matter how good your hardware is, if it can't be controlled by a tablet in 5 years, you might not be able to sell it. Mackie is banking on this future, making killer hardware and improving their software chops. I think its going to pay off. What's the first thing you think about when someone says "soundproofing"? You probably thought about acoustical foam because that's the default soundproofing material most of us know about and use. Turns out, foam isn't the best solution. Enter GIK Acoustics. Rather than using foam, they use insulation materials with absorption and trapping properties far superior to foam ó especially in the low bass frequency range. If you've looked at soundproofing products in the past, you know they are usually WAY too expensive for casual home studio users. Most people can't drop $2k on artisan soundproofing decor for a garage or spare bedroom. 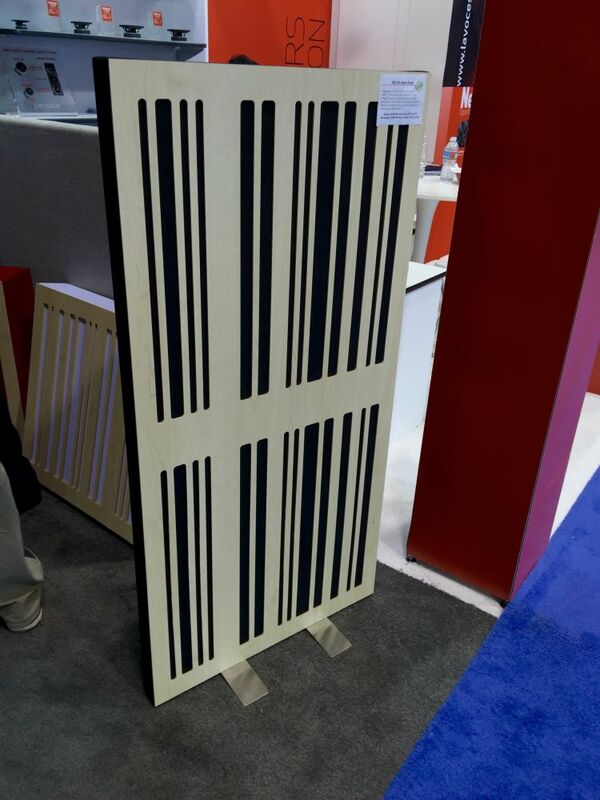 While GIK does have some more expensive, more attractive solutions, they also have some very affordable products as well. The GIK 244 bass trap is a 24"x48" bass trap that costs just $75. 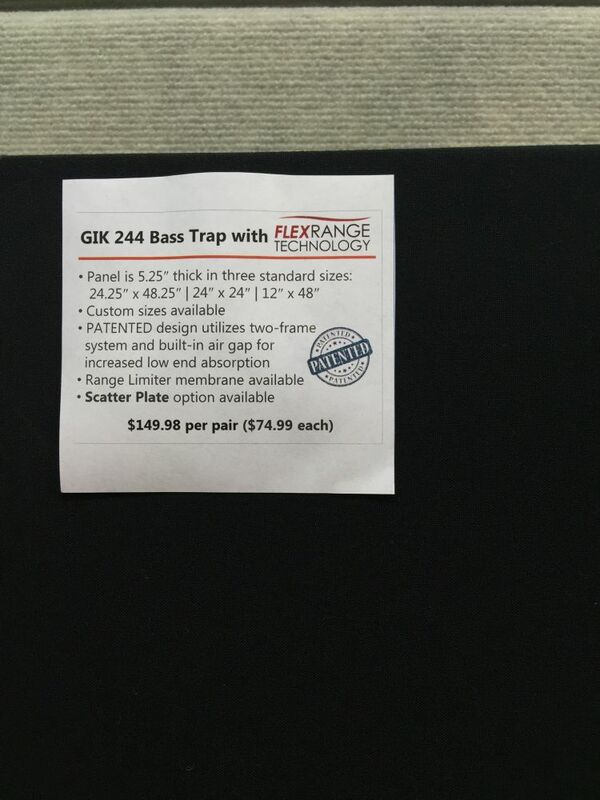 You could put one of these in each corner of a small room and get rid of a lot of bass boominess for just $300. It will be more effective than any foam you could put there. 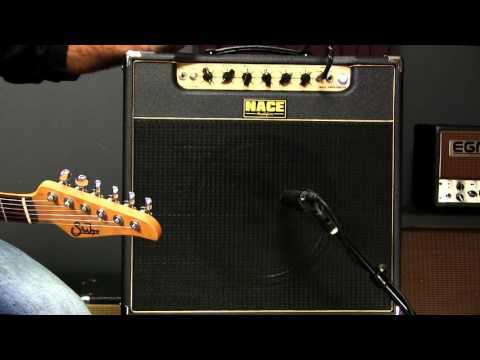 I stopped by the Nace Amps booth at the request of Griff Hamlin. He's a friend of the builder and has had some input into the design. The amps top out around 18 watts, but have adjustable power all the way down to 1 watt. An interesting feature is the "record" output. This isn't a standard line output though, there's some cabinet emulation built in. It's supposed to simulate the sound of a mic'd Celestion Greenback. Of course I'm skeptical of anything that claims to do effective cabinet emulation, but Griff knows what he's talking about and he said it's amazing. As a matter of fact, you can hear for yourself in this demo video. The introductory solo is recorded entirely through the record out, and a microphone comparison is done at 4m50s. The amps are surprisingly light, the head model is only 14 pounds and a fully loaded combo is only 30 pounds. Some of you have probably heard of Griff Hamlin, the author of Blues Guitar Unleashed. Technically I guess we're competitors, but the fact is we share a lot of customers. Talking with Griff was one of the highlights of my trip because our backgrounds and skill sets couldn't be more different, but we are both in the same market serving the same kinds of customers. Griff is a terrifically nice guy, and a scary good player. He also happens to be a fantastic instructor. My goto slow down software for Mac or iOS is Capo. Chris was my viewer before I became his customer years ago, and we spent a lot of time talking about music and business at the show this year. Capo has several advantages over other slow down packages, not the least of which is audio quality. You can slow music down to 25% in Capo and retain an astonishing level of quality. His newest creation is Neptune, a technology for isolating instruments in a song. And no, this isn't just a clever bandpass filter; Neptune takes into account spatial positioning of a source, not just frequency range. For example, let's say you want to remove the rhythm guitar track in a particular song, but the rhythm guitar is panned mostly to the left side. A normal bandpass filter would act on the entire stereo signal, filtering out frequencies from everything in those two channels. Neptune isolates the "width" of the rhythm guitar in the mix, then applies the frequency filtering. So you're only filtering the part of the stereo spectrum where the rhythm guitar is heard. Chris is a super smart guy. 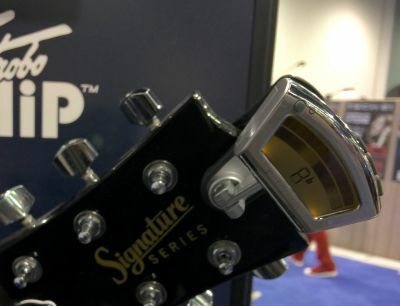 Capo is used by all kinds of musicians, from hobbyists to touring pros. And now for a story to close this year's report. Two years ago at the 2014 Winter NAMM show I watched my friend Adam Levy perform with a Guatemalan singer/songwriter named Gaby Moreno. This video from that show will give you some idea why I became an instant fan, but it doesn't begin to capture the atmosphere in the crowd. Be sure to listen until 1m22s where she really begins to wail. Her music covers a lot of ground stylistically, but you can hear American jazz, blues, and soul influences throughout her catalog. Her last album Postales was written entirely in Spanish, but the "feel" of the music is so familiar that it transcends the language barrier. By way of a happy coincidence, I got to meet Gaby at this year's NAMM show. When I first arrived at the Berndt Guitars booth, Ned spotted someone named Dan walking away from the booth and called him back. That Dan was Dan Warner, a Grammy/Emmy/Latin Grammy award winning guitarist, producer, and songwriter from Miami, and a friend of Berndt Gutiars. More relevant to this story, he also produced the Postales album. As I sat talking to Ned about business stuff, Gaby appeared out of nowhere, strolling into the booth and striking up a conversation with Dan. I was more than a little bit starstruck, but managed to have a normal-sounding conversation about her plans for a new album and tour. Best of all, I had the opportunity to tell her how much I enjoyed and appreciated her music. 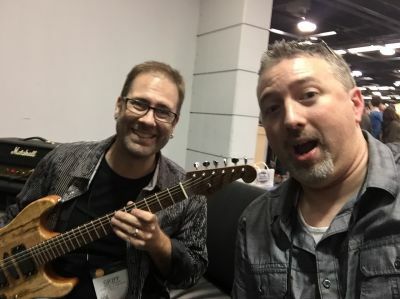 I've had viewers and customers stop me at shows like NAMM to say thanks for the lessons and show their appreciation. But I've never really had the chance to be on the other side of that conversation. Aside from awkardly shaking Chris Layton's hand and telling him that his work with Stevie Ray Vaughan changed my life, I've never had a sincere conversation with someone who's music impacted my life. Many of my favorite singers and guitarists are gone, I'll never have that chance with them. But last week I got to meet one of my very-much-alive favorite artists whos work I truly respect, and was able to express my appreciation in person. That's a great feeling and one that I'll never forget. And no, I didn't get a picture because I'm a big dummy.